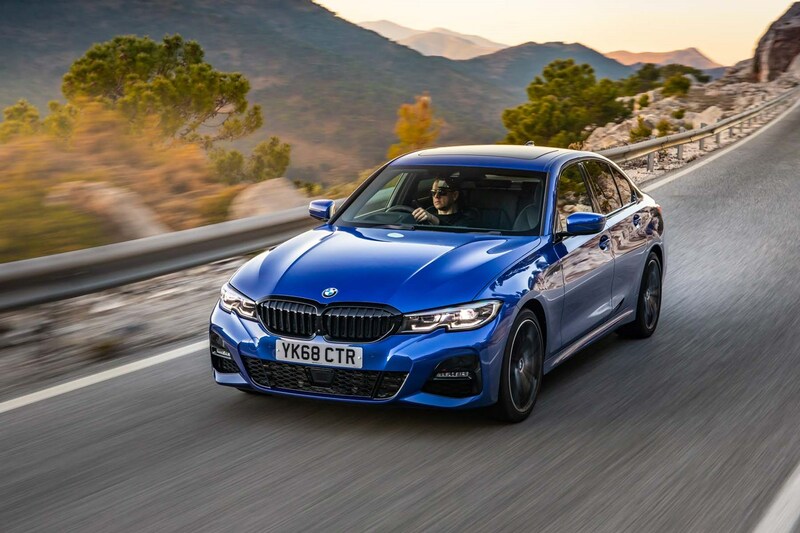 When selecting your BMW 3 Series, you’ll be met with a wide range of familiar engine options, whether it’s petrol, diesel or plug-in hybrid that takes your fancy. 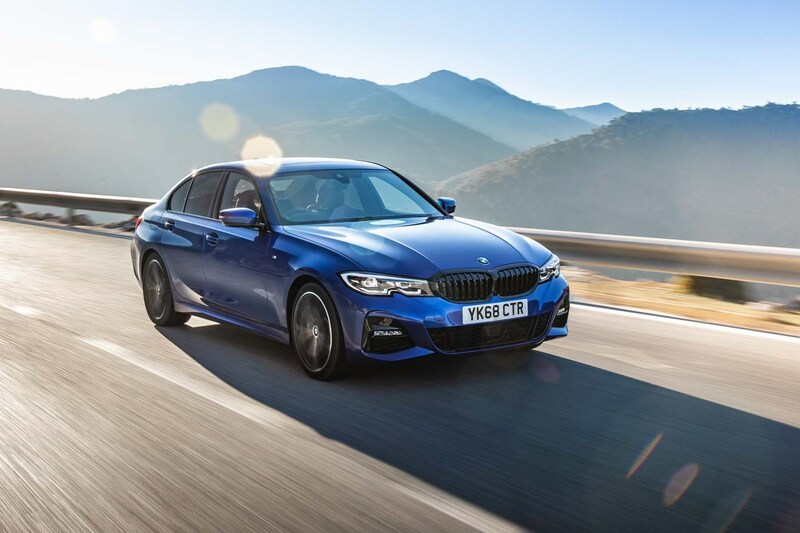 The petrol line-up kicks off with the 320i, a 2.0-litre turbocharged petrol engine with 184hp and 300Nm of torque. It’s capable of completing the 0-62mph sprint in 7.1 seconds and will go on to reach a top speed of 149mph. 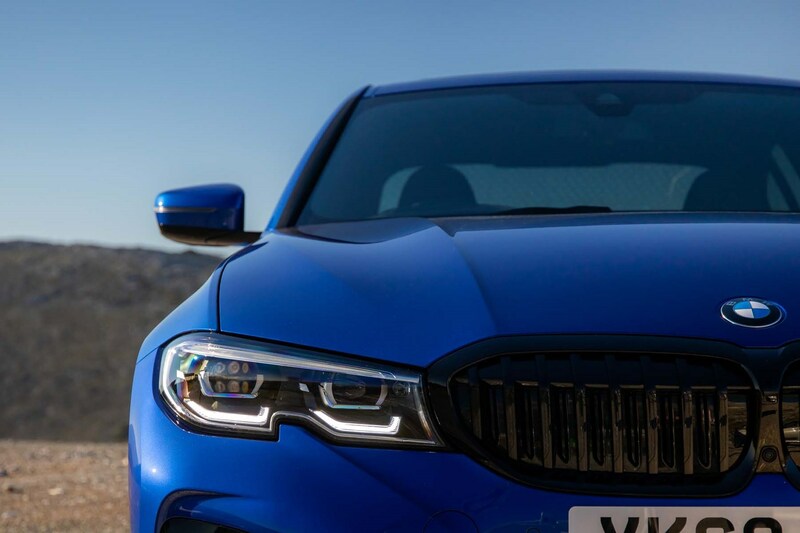 If you require more performance, there’s the 330i, with a 258hp power output and 400Nm of torque. 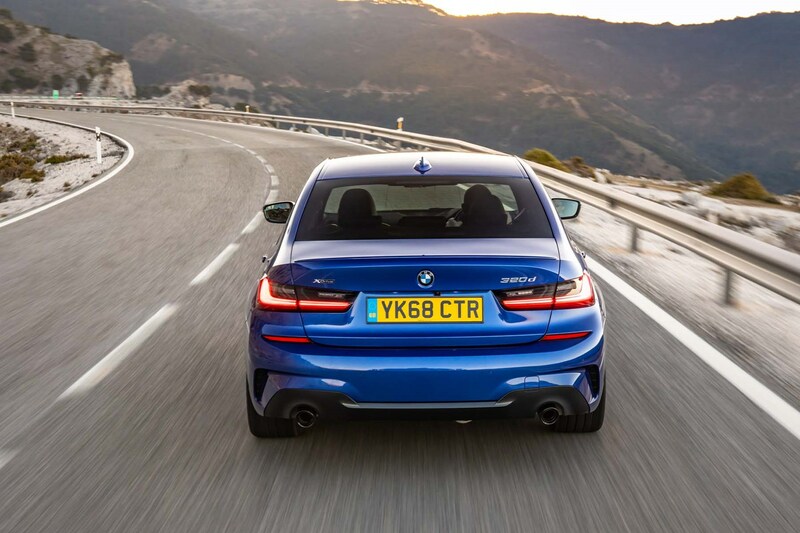 This will allow the 3 Series to get from 0-62mph in 5.8 seconds and on to a limited top speed of 155mph. It’s smooth and responsive in its power delivery, and is an interesting alternative to the noisier 320d. There’s even quite a fruity sound coming from the exhaust. Both petrol engines come with an eight-speed automatic gearbox as standard. 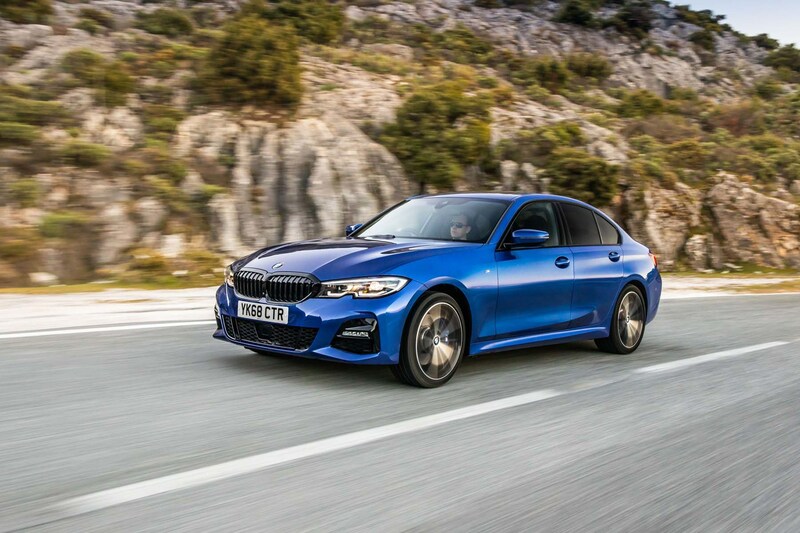 The diesel range is a little lengthier, kicking off with the 318d, a 2.0-litre turbodiesel producing 150hp and 320Nm of torque. This comes with a choice of six-speed manual or eight-speed automatic gearboxes – with 0-62mph times of 8.4 and 8.3 seconds respectively. 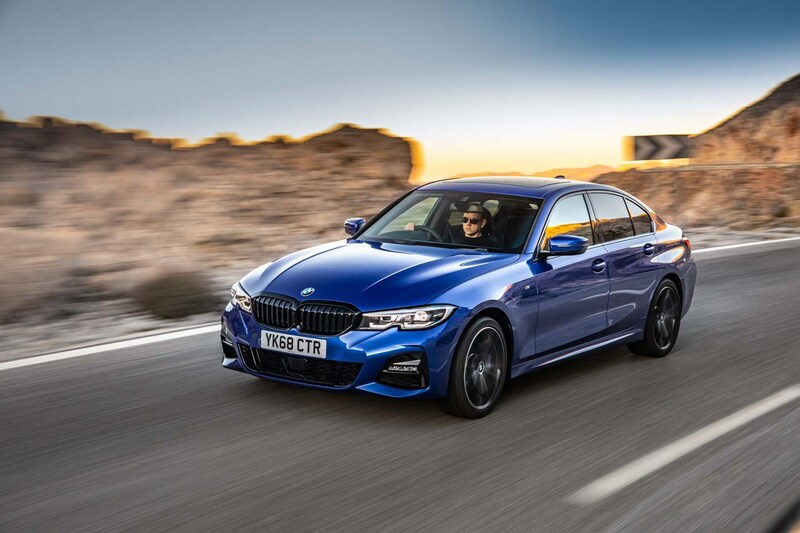 The big seller is the 320d, offering 190hp and 400Nm of torque. This too comes with a choice of gearboxes, with a 7.1-second 0-62mph time for the manual and 6.8-second time for the auto. This is the only car to be available with a choice of rear-wheel drive or xDrive all-wheel drive at the time of the car’s launch. 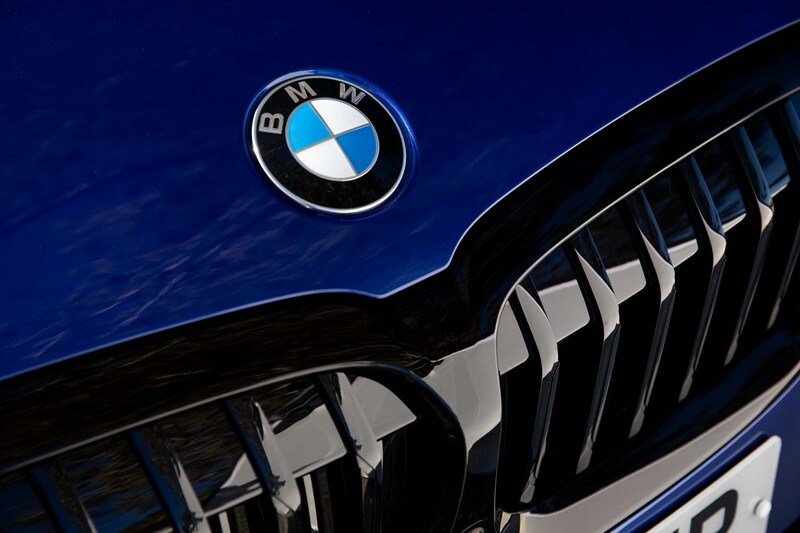 The 0-62mph time for the xDrive is 6.9 seconds, and is auto-only. 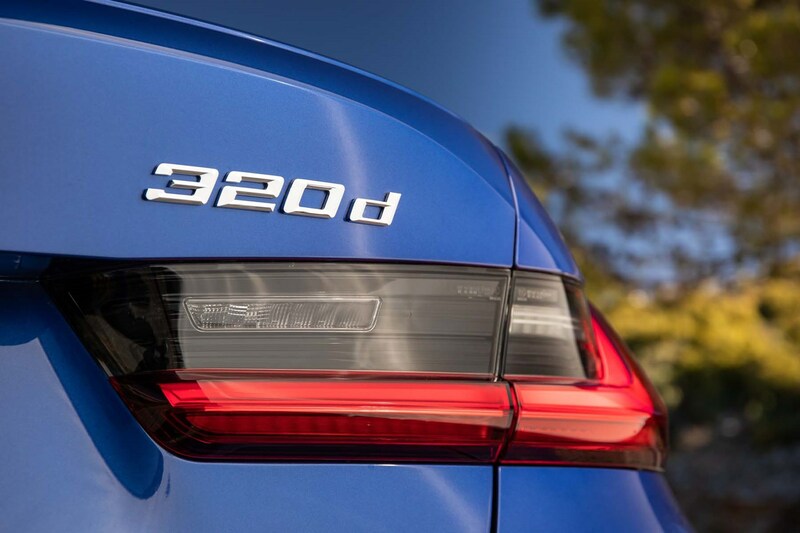 While the 320d’s performance figures look strong, in reality it doesn’t actually feel quite as eager as it did in the old car. It exceeded expectations in the old car, but this time around it feels a little more reluctant. However, that’s damning it with faint praise as it’s still an excellent all-rounder that will be a perfect fit for the majority of buyers. 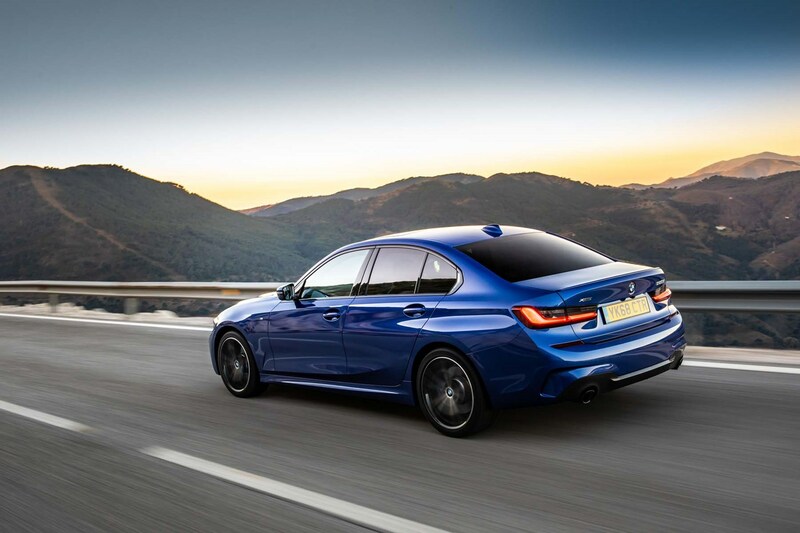 The torque on offer is fantastic which means you don’t have to put too much effort into getting up to speed, and it does so smoothly thanks to the excellent automatic gearbox (where fitted). The only niggle with this powerplant is that it’s quite noisy and grumbly when pottering around town and getting up to speed. However, refinement at speed is excellent thanks to comprehensive insulation, which offsets the noisiness elsewhere. When fitted with xDrive, traction when pulling away quickly is also impressive, feeling assured and responsive. 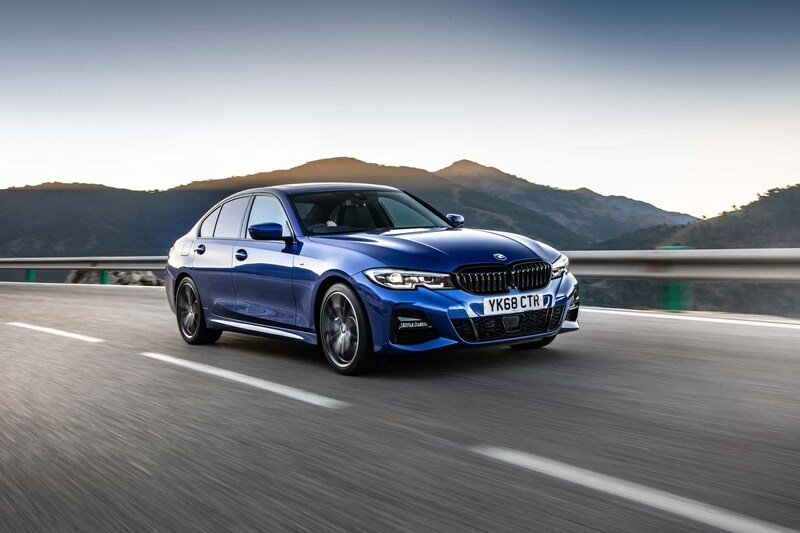 At the top of the diesel range is the 330d, with 265hp and a whopping 580Nm of torque. This engine only uses an automatic gearbox and is rear-wheel drive, with a 0-62mph time of just 5.5 seconds and a limited top speed of 155mph. We’ve only had a chance to sample this model in pre-production form on a racing circuit. That means the surface was glass-smooth and it was at very high speed, so not exactly indicative of what you’ll experience on a wintery UK backroad. 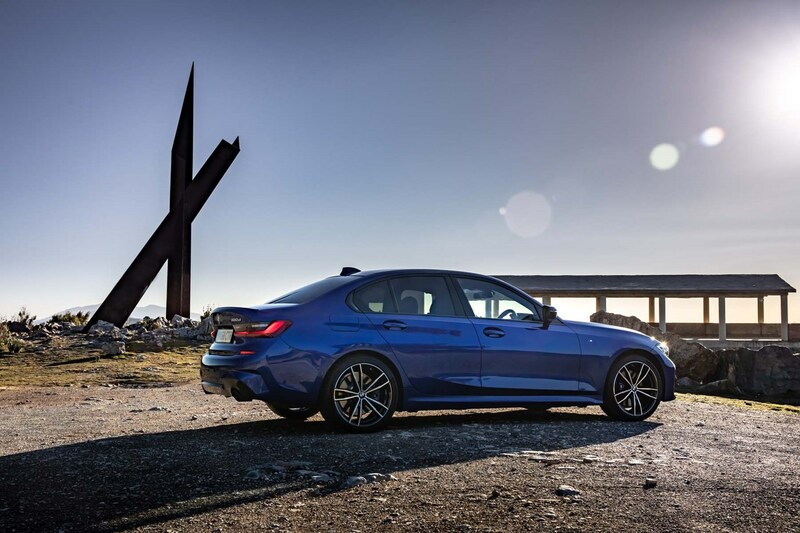 Still, we were impressed with a number of aspects of the way the M340i drives. Push the starter button and immediately it’s clear this is the best engine in the new 3 Series line-up. It’s a six-cylinder turbocharged petrol that is also used in the Z4 sports car, though it’s been tweaked slightly for use in the 3. It sounds fantastic, with a purposeful rumble at low speeds that builds in excitement along with the revs. We were impressed with its throttle response, too – particularly in Sport mode where everything is sharpened up. 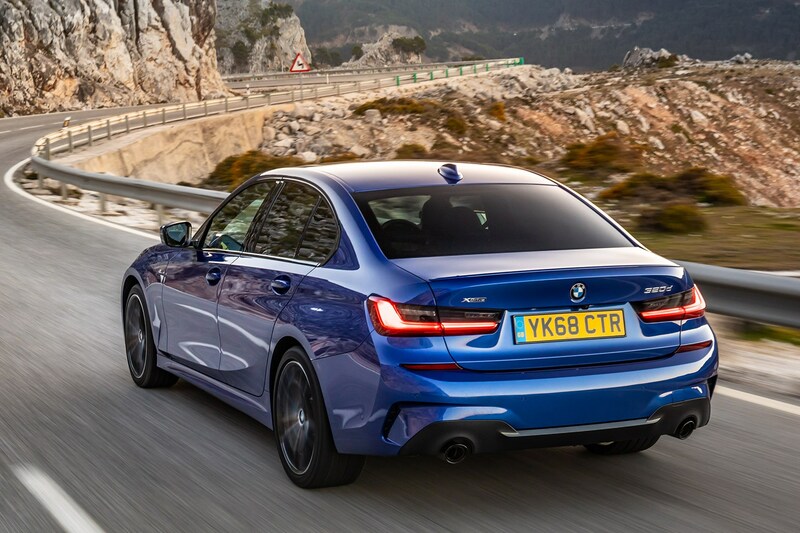 With 374hp and 500Nm of torque available, it’ll cover 0-62mph in 4.4 seconds (provisional figure) and feels every bit as fast as that thanks to the traction of the xDrive all-wheel drive system. 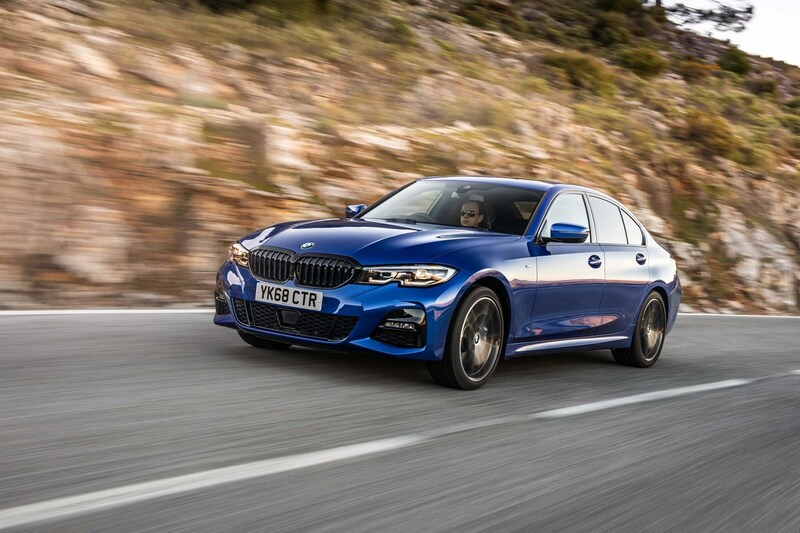 As standard this car comes with a six-speed manual gearbox, but we tested it with the optional eight-speed automatic that shifts quickly and smoothly between its ratios. On circuit we had this ‘box in its manual mode, using the paddleshifters behind the steering wheel, and it performed very well indeed, with only the very slightest of reluctance to change down on some of the quicker corners. 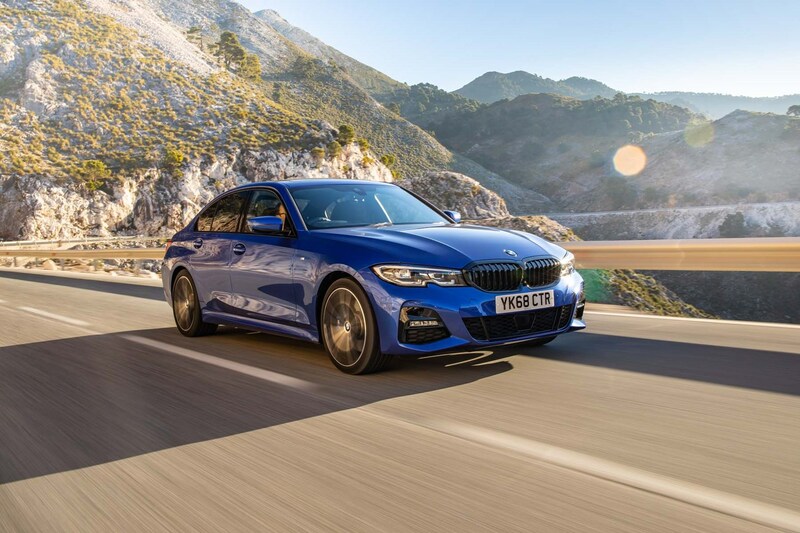 Another optional feature was the adaptive suspension, which allows the driver to choose between a softer ride or a harder, flatter chassis for better cornering. 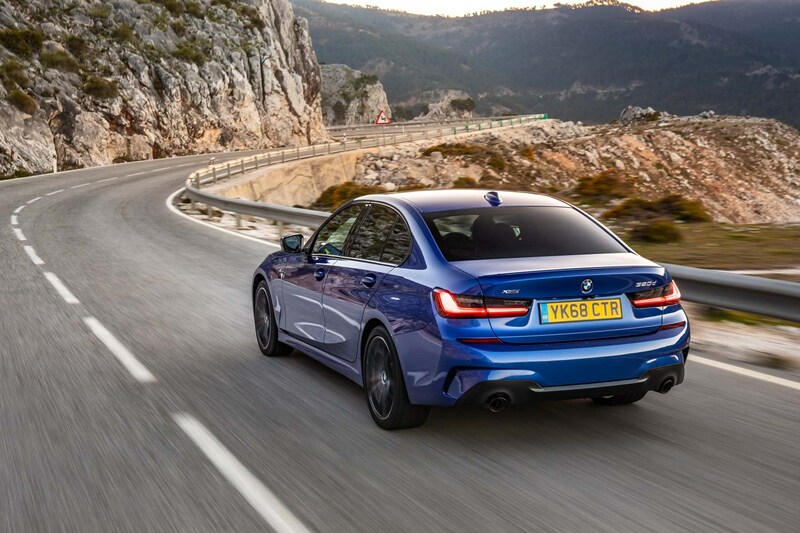 This works in conjunction with the electrically controlled locking rear differential to help when turning into a bend, effectively tightening the car’s trajectory and pushing the back end around, making the 3 Series feel even more agile than in the other two versions above. 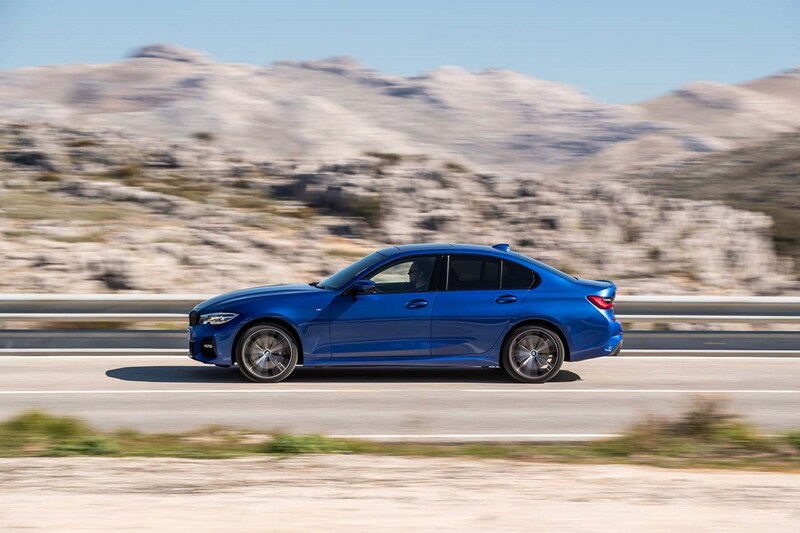 Once you get the hang of predicting what it’s going to do, you’re able to set the M340i to work at angles you’d previously never imagined – especially once you’ve push the traction control button once to enter into Traction mode. 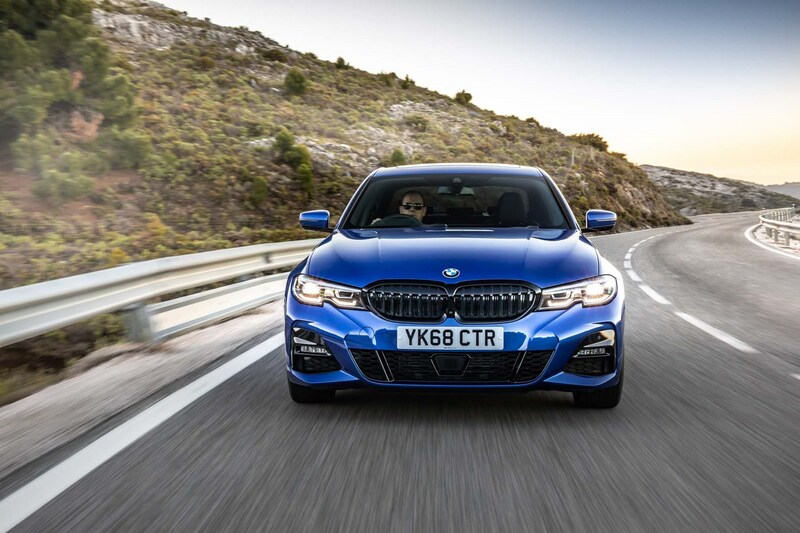 This commands the xDrive system to divert more torque rearwards, meaning it feels more like a rear-wheel drive car and thus is more enjoyable at speed. 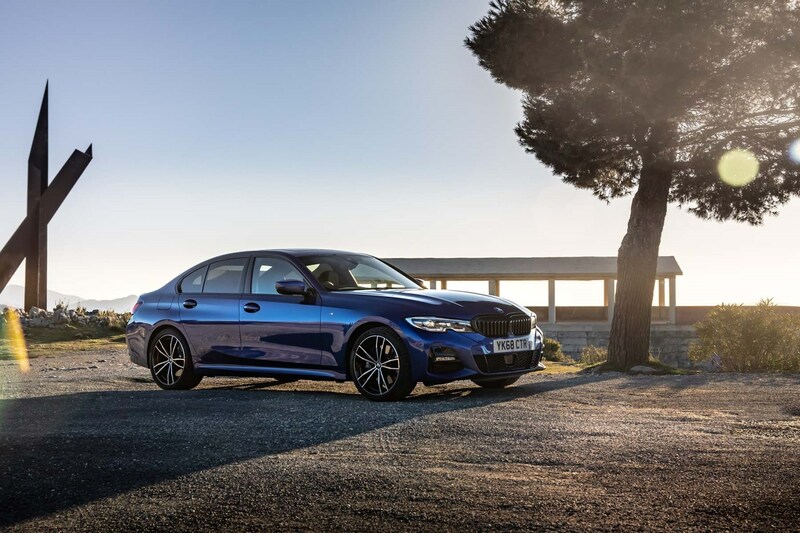 There’s a range of driving modes available on the 3 Series, consisting of Eco Pro, Comfort, Sport and Individual. There’s also an Adaptive option on cars fitted with adaptive suspension. Eco Pro and Comfort are largely self-explanatory, while putting the car in Sport will make the throttle response sharper, the suspension stiffer (on cars with adaptive suspension) and make the steering heavier. In action, the steering becomes far too heavy, so the best option if you want more response from the engine is to configure your own setup in the Individual settings. 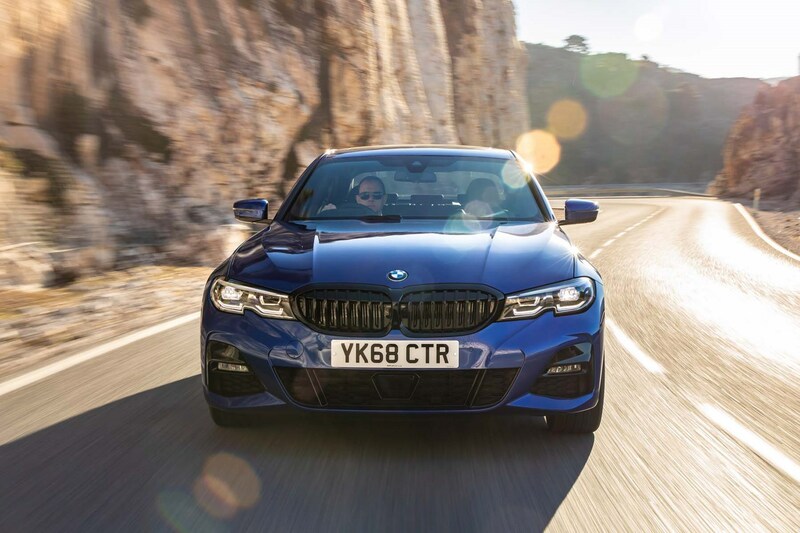 The 3 Series has long been known as the best car to drive among the compact saloons on sale. 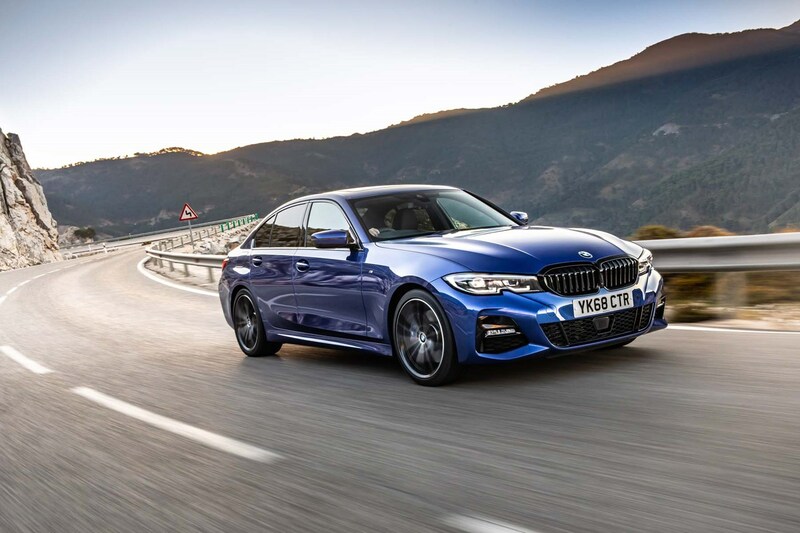 And while rivals like the Alfa Romeo Giulia and Jaguar XE strongly challenge the 3 Series in this regard, the BMW remains the best option if you want the best blend of performance, driver enjoyment and comfort in one, rounded package. 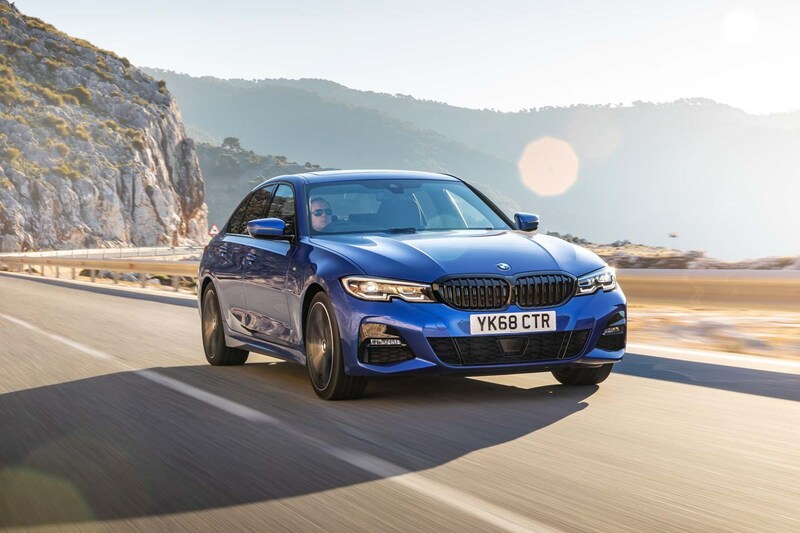 Around town, the 3 Series’ lighter controls pay dividends making much lighter work of lots of turning of the steering wheel, be it parking in car parks or on urban streets – it’s one of the welcome improvements over the old car. This lighter feel doesn’t leave it feeling less involving, though – it’s still responsive and feels very agile indeed. This agile feel comes thanks to a lighter overall construction than the car it’s replaced, as well as being stiffer overall. 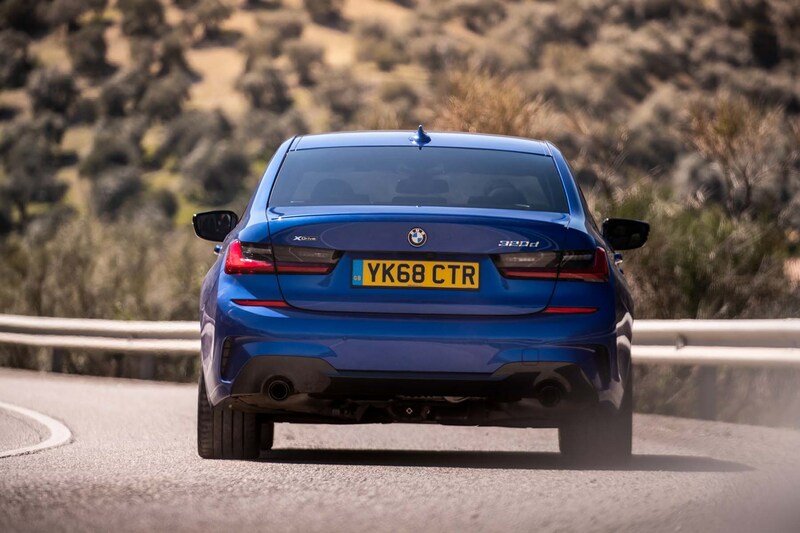 On a twisty road, then, the 3 Series feels very well controlled with minimal body roll and a very composed feel. 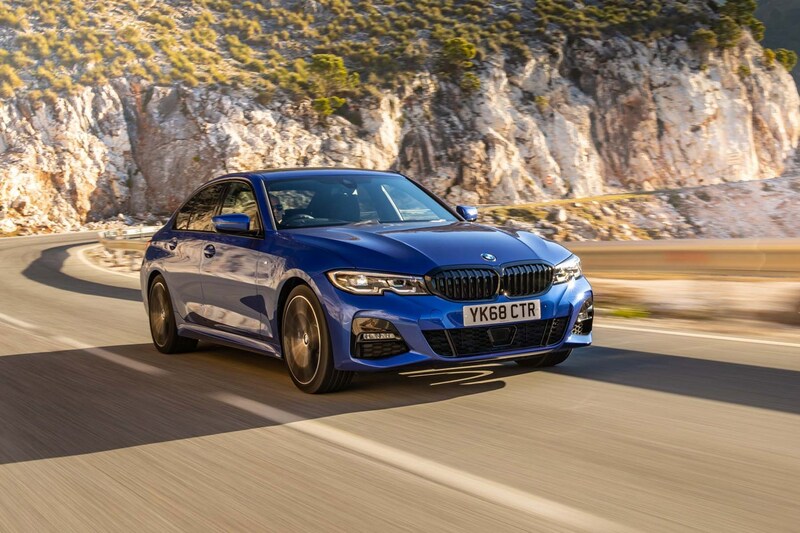 There’s a great sense that the 3 Series feels like it’ll look after you on a twisty road, feeling light on its feet and like it’ll do exactly what you ask of it. You can tweak the driving experience via mode selection next to the gearlever, with choices of Eco Pro, Comfort, Sport and Adaptive. The latter is only available on cars fitted with adaptive suspension. These modes tweak the responsiveness of the throttle and gearbox, as well as the weight of the steering. To complicate things a little, there are Individual settings available within each mode, so you can tweak the car’s settings to within an inch of its life. It’ll be a purely personal thing, but one thing we would suggest is avoiding the steering setting to be in Sport – it makes it feel unnecessarily heavy and feels like a lot of effort and hard work just to go through some corners. 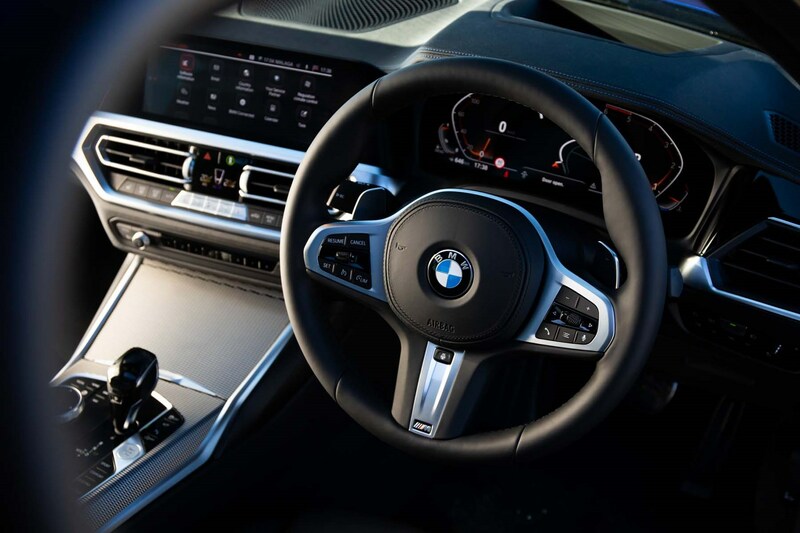 The interior of the 3 Series has an evolutionary design, so it’s not radically different to the old car, however the controls have been condensed into a slicker set-up with fewer swathes of buttons and switches. 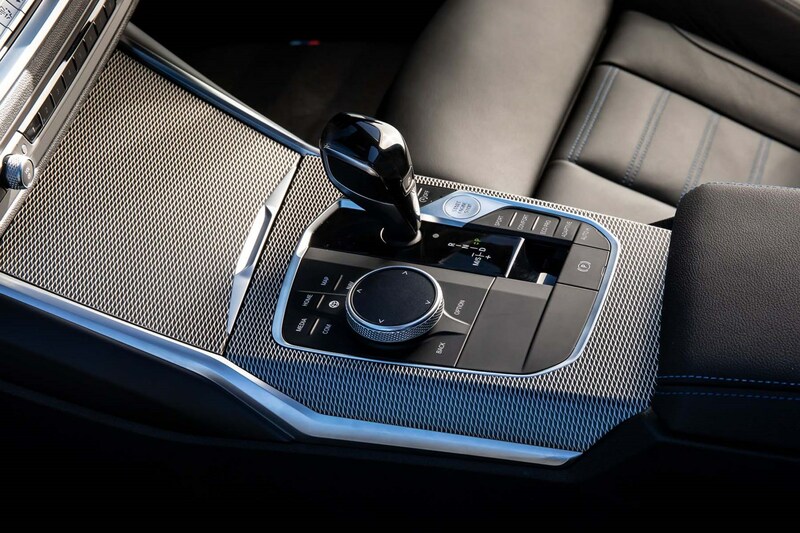 Unsurprisingly, the car’s major functions are controlled via the firm’s latest iDrive system – BMW calls it Live Cockpit Plus – which uses a rotary controller, touchscreen or voice control. It’s less menu-heavy compared with the old system which is great news, but it’ll still take some time to learn where everything is. 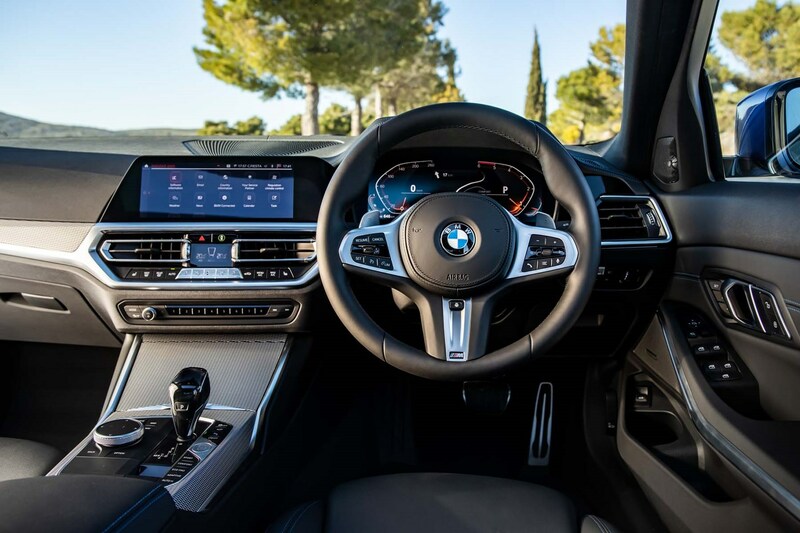 The large infotainment screen (8.8 inches in size, 12.3 inches on M Sport or as an option) is crisp and bright and the rotary controller easy to use. However, we’ve found that there can be connectivity issues with this. Over several hours spent in the car, the Apple CarPlay integration can be patchy at best, and that’s after you’ve spent a long time working out how to select CarPlay in the first place. It feels unnecessarily fiddly when in most other cars you simple plug a cable in. Plus, every time we stopped at a toll booth, it disconnected and lost what it was doing prior to that. 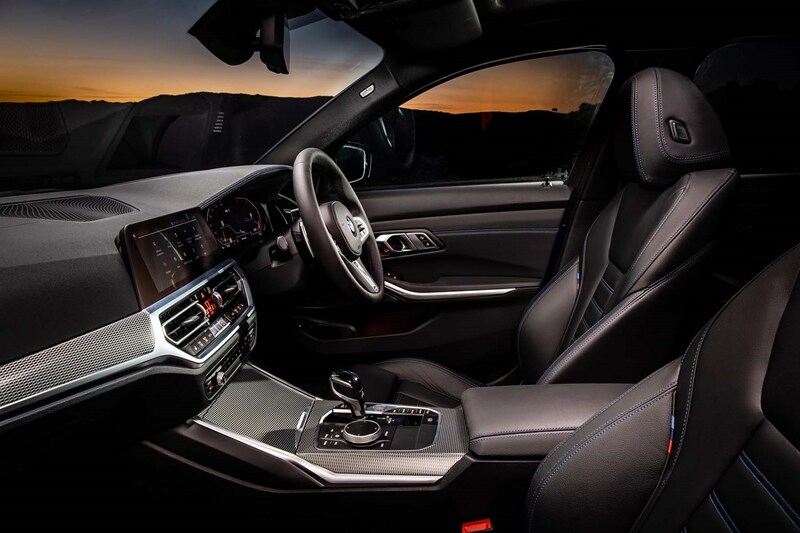 Technology niggles like this aside, the interior of the 3 Series now matches the Audi A4 for quality and design. It’s not showy but it feels very high quality with pleasant materials used throughout, and some neat details. Standard-fit digital dials add a more techy feel, and can be configured like Audi’s similar Virtual Cockpit arrangement. Getting comfortable behind the wheel is easy too, with plenty of adjustment in the seat and the steering wheel – especially if you opt for electric adjustment for the seats. 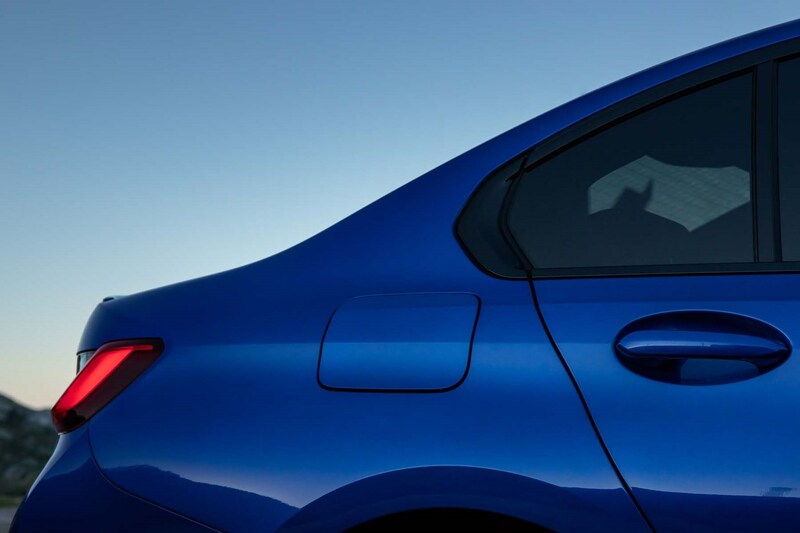 You can sit nice and low – feeling every inch the sporty BMW – or pump the seat up a little higher if you prefer. The generous amount of headroom means this should be fairly flexible. 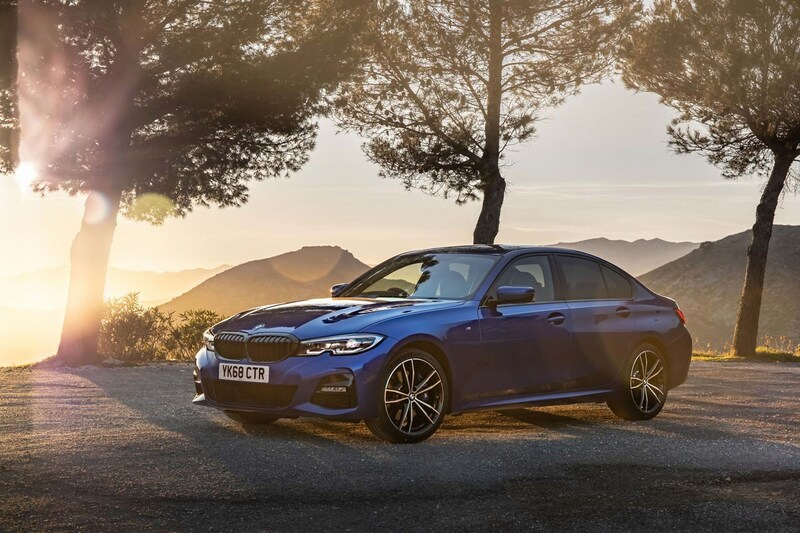 The 3 Series’ natural habitat is the motorway, and it excels in this environment when it comes to comfort and refinement. 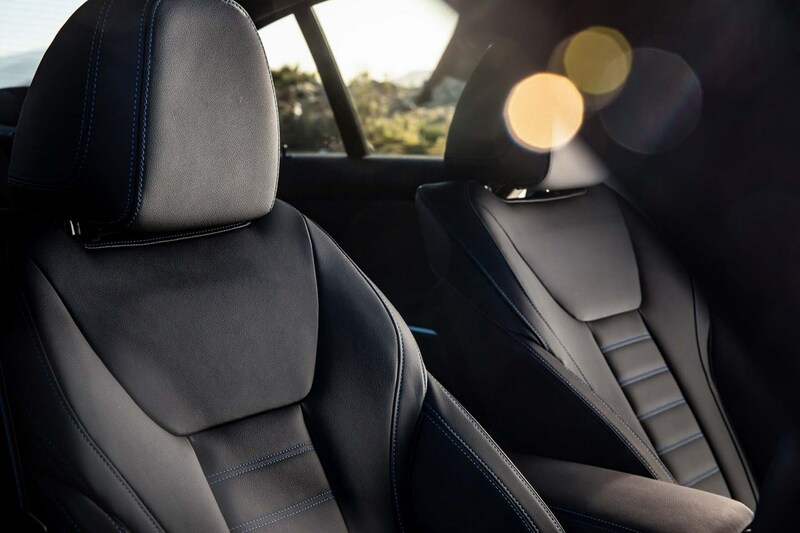 The seats are supportive and comfortable – especially M Sport sports seats that have a wide range of adjustment – and will suit a range of drivers because of this. 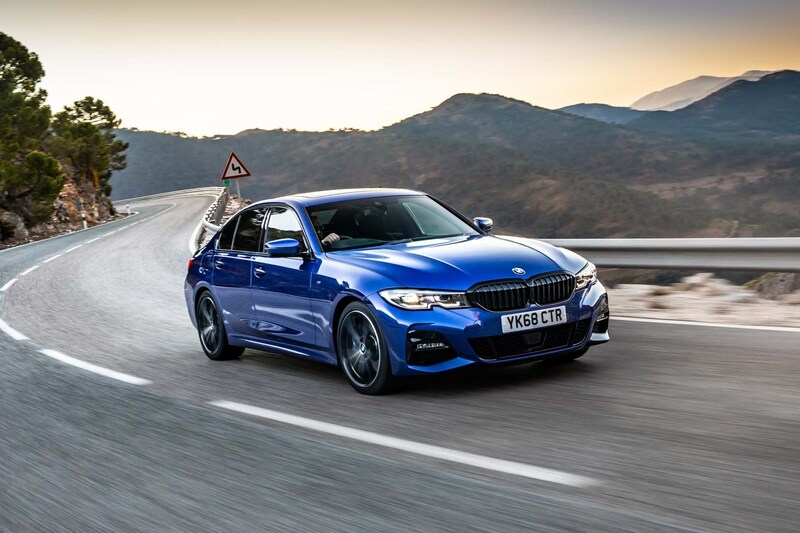 And while the ride is accomplished even on M Sport cars, it can feel a little firm over rough surfaces with a slight jiggly feel. It’s something you’ll only pick up on if the roads are especially broken up, but specifying the adaptive suspension system helps to alleviate this. 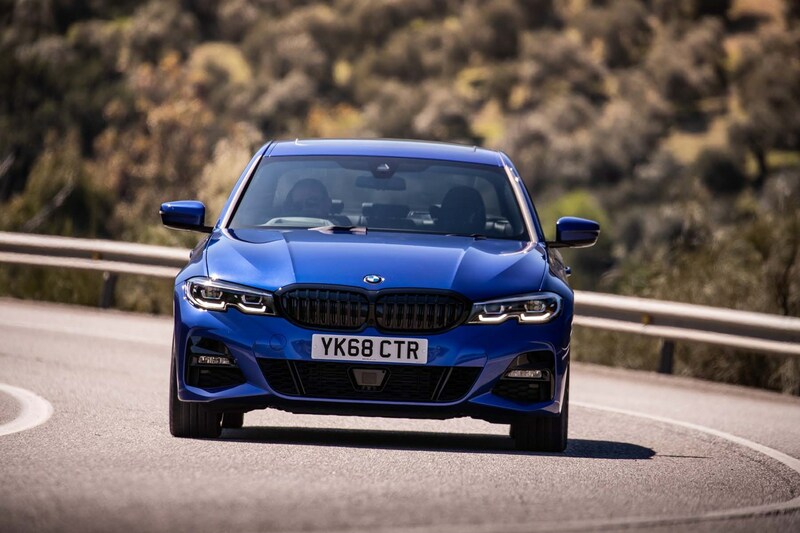 Even without it though, the 3 Series blends being comfortable and composed very well. One thing that strikes you is just how quiet it is in the cabin of the 3 Series. While the diesel engines can be a little vocal, any other sounds are incredibly well isolated. At speed, the engine is almost inaudible, and road and wind noise are minimal. 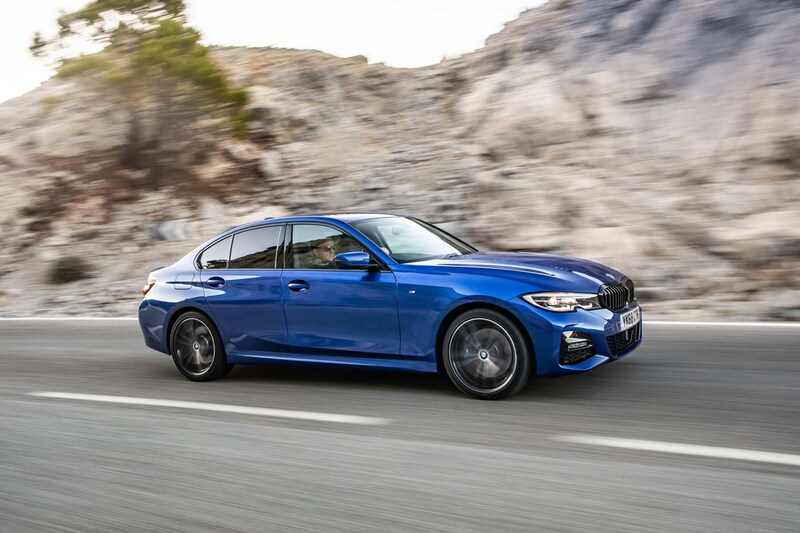 The 3 Series comes with double glazing as standard and far more sound insulation all-round compared with the previous car, and it shows. It’s a very well hushed car at all speeds, and makes long journeys very relaxing.